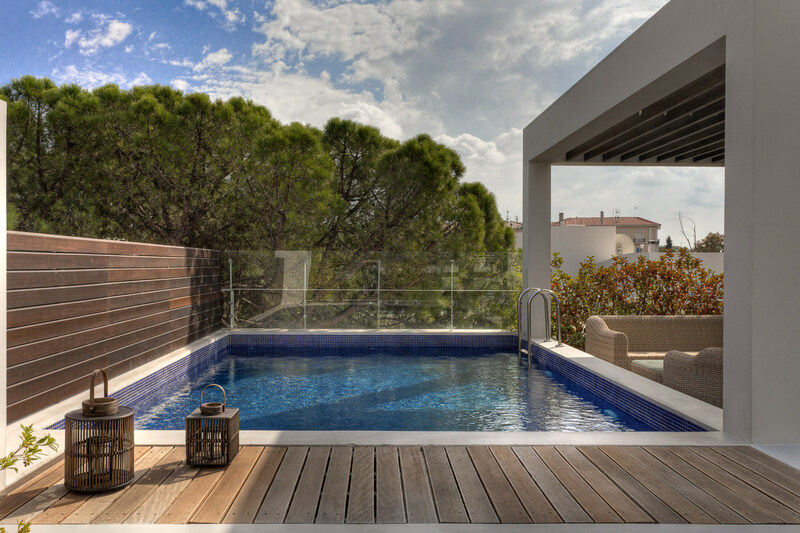 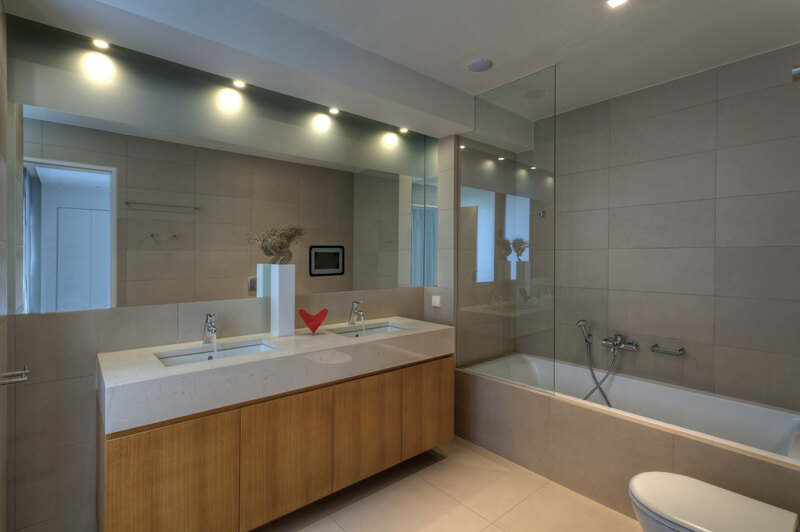 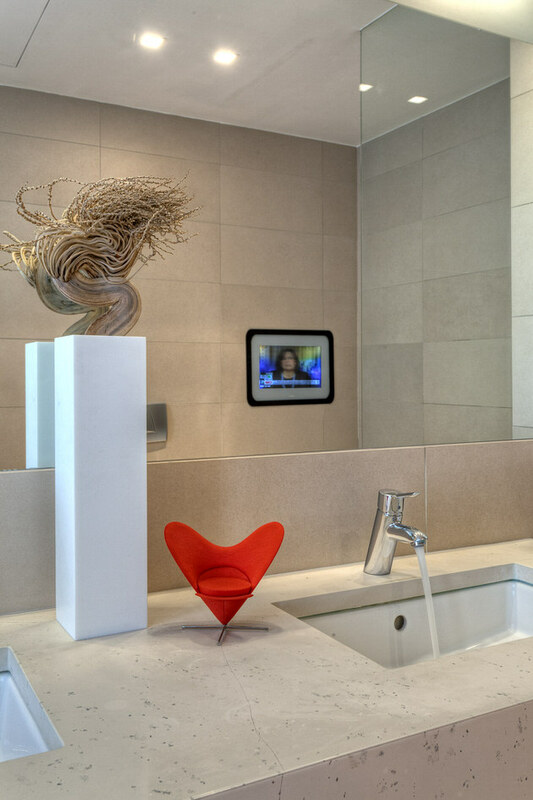 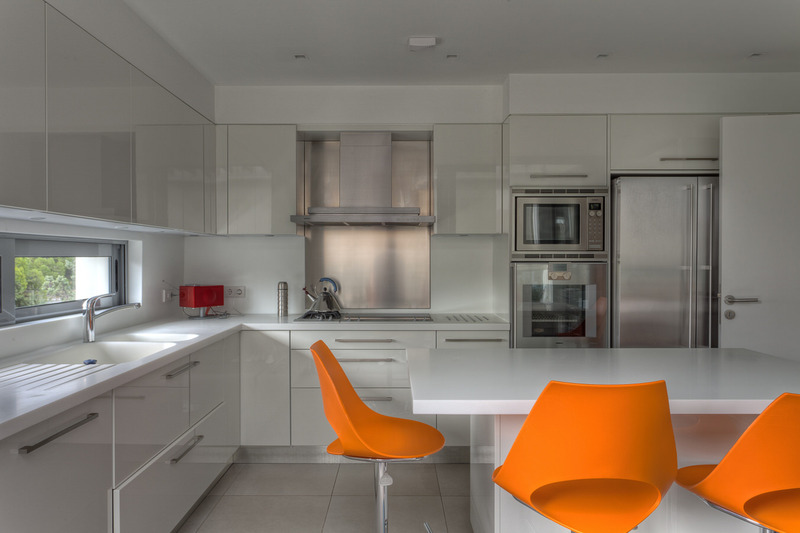 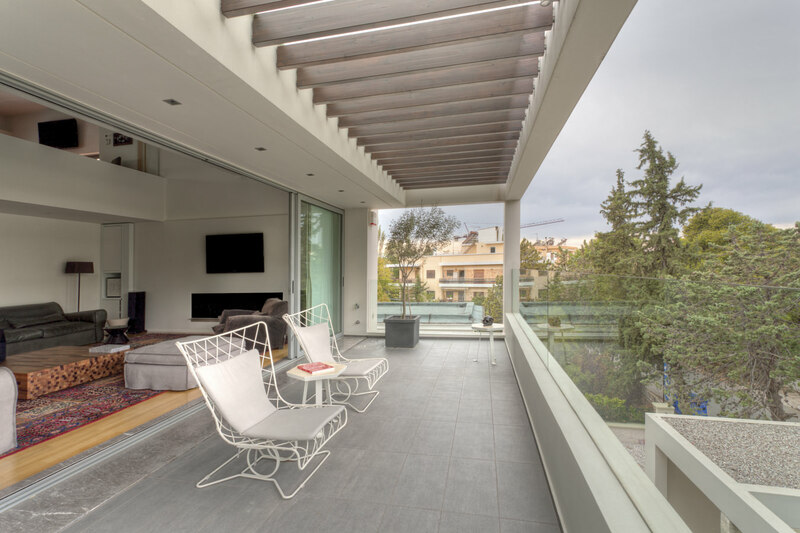 Photos of a luxury apartment designed by ISV Architects and interior architecture from Eleftherios Ambatzis. 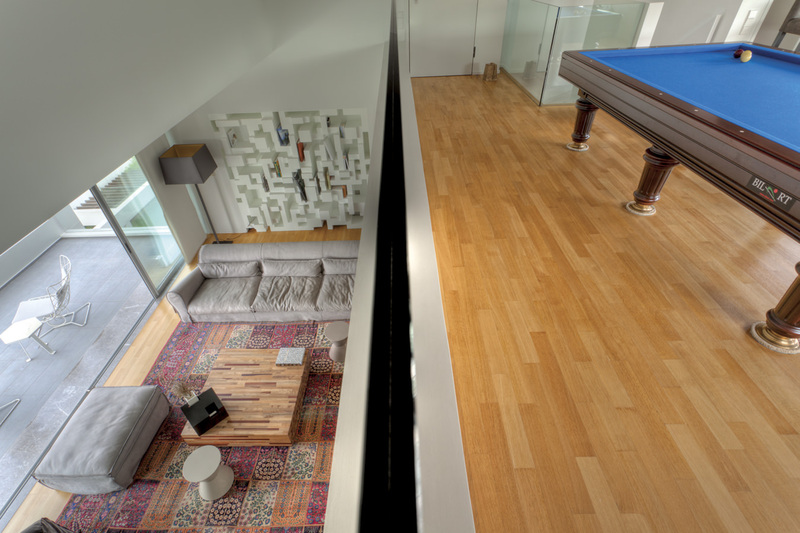 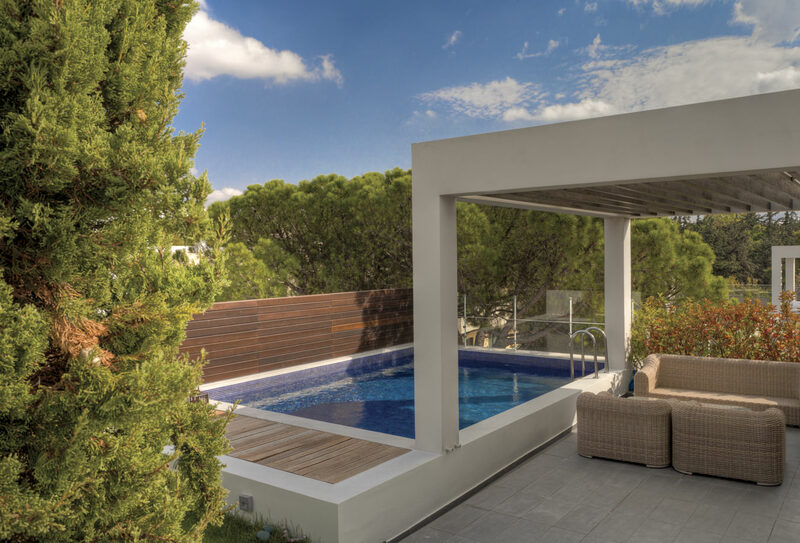 This apartment, part of a newly built block, is spread over two levels and includes a roof garden with a private rooftop pool.context.The living area, dining room, kitchen and en suite bathrooms are on the first level, while the upper - level mezzanine has a playroom with a billiards table overlooking the main living area. 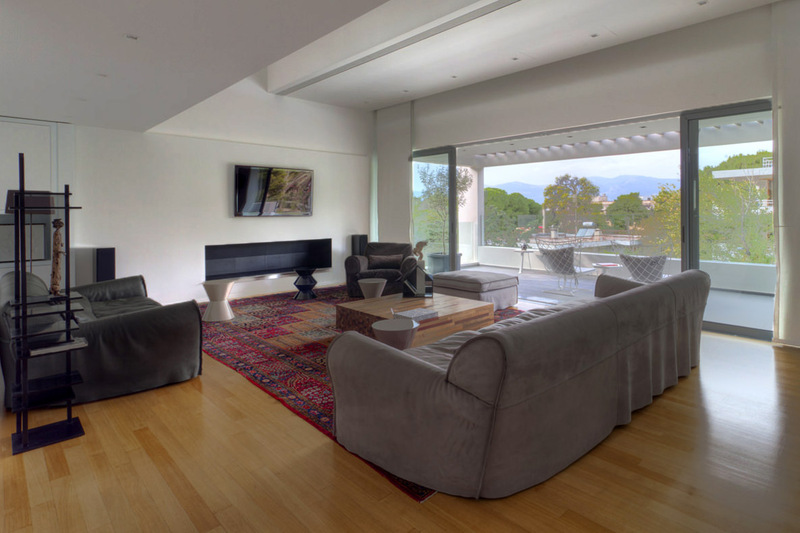 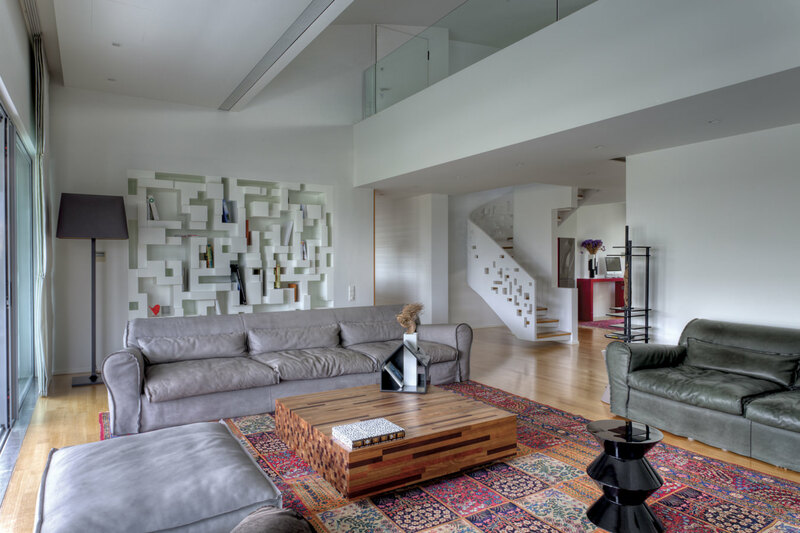 The rooftop garden is accessed through that level.The basic principle behind the interior design of the tetris apartment was to form a tranquil yet playful atmosphere throughout the residence,with an emphasis on unique furniture - sculpture elements designed by the architect Eleftherios Ambatzis (eleftherios - art). 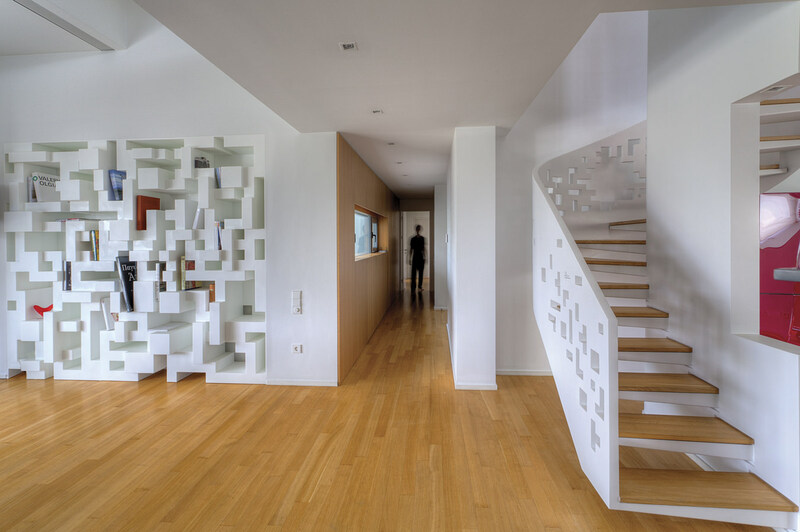 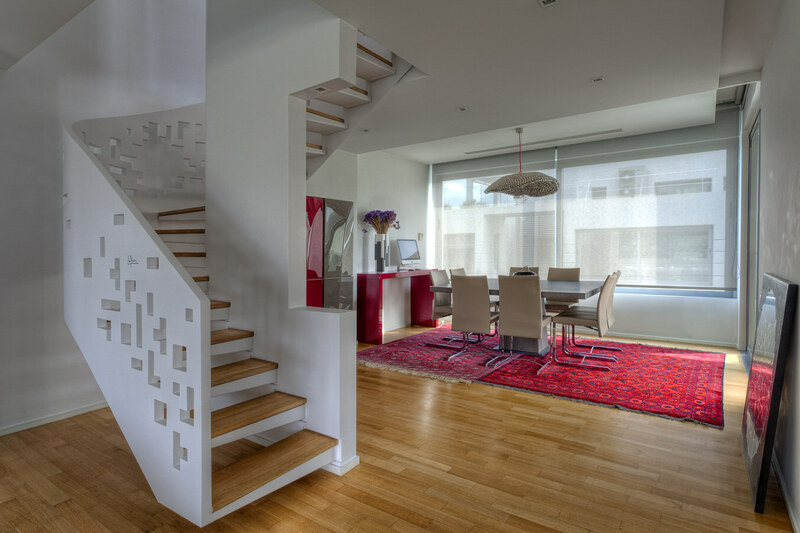 In the main living area, a large bookshelf and a staircase, both designed according to the tetris motif and constructed using different materials, add a "frozen movement" mood to the space. 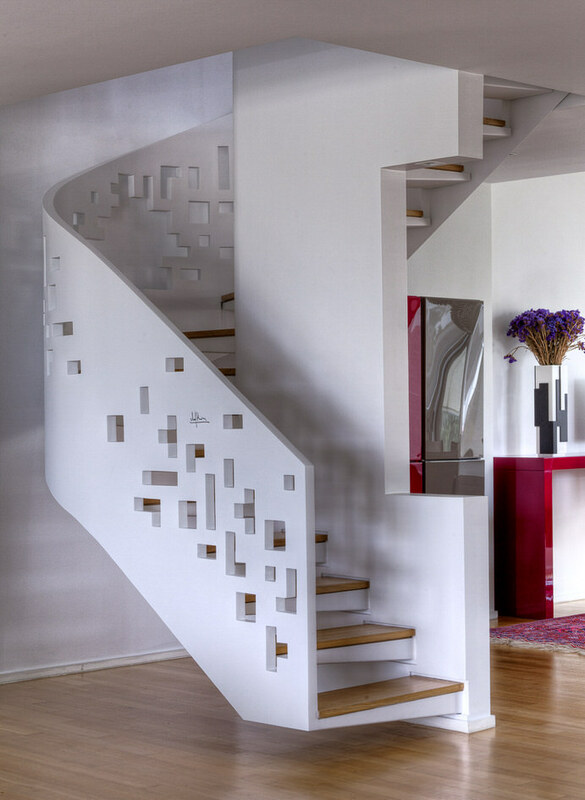 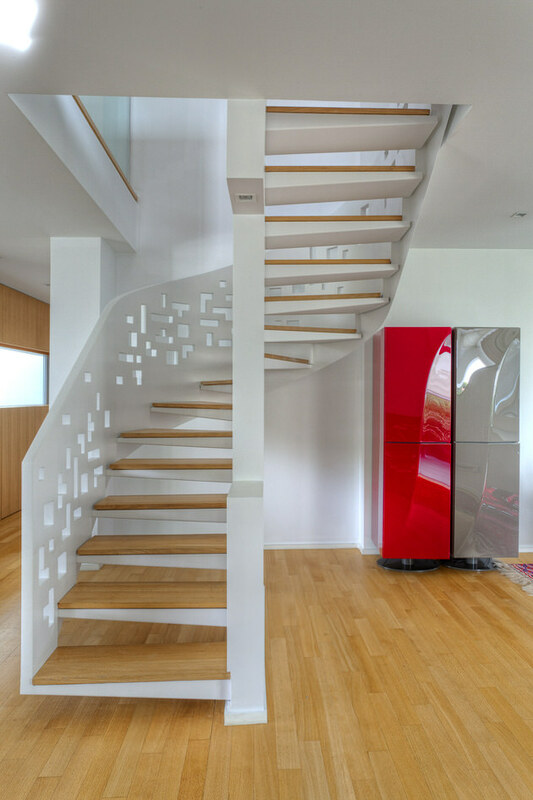 The bookshelf is made of corian and the staircase is made of iron. 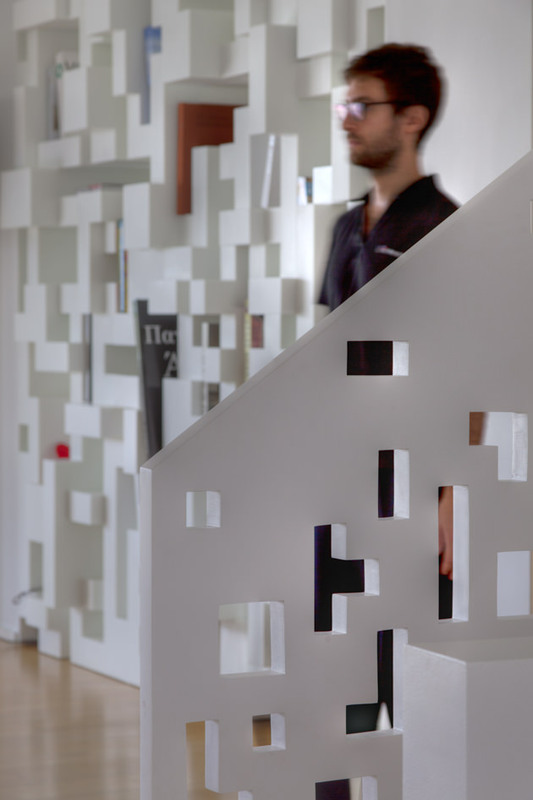 Bespoke objects made of black and white corian dominate the space, making it the primary material in the main space.The overall colour palette throughout the apartment is mainly white, with spots of black and other colours.The marble mosaic painting was placed in between the living and dining areas facing the tetris staircase that reflects it, thus mixing shapes, materials and colours.White corian and lacquered wood were used in the kitchen area, where the orange stools stand out against the white.The main materials used in the bathrooms are marble, wood and glass, to maintain a tranquil ambience.